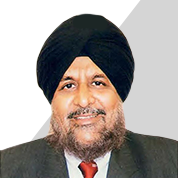 Prof. Jagmohan Singh Raju holds a Ph.D. in Business, an M.S. in Operations Research, and an M.A. in Economics from Stanford University based in California. He is a MBA from the Indian Institute of Management, Ahmedabad, and has a B.Tech. degree in electrical engineering from the Indian Institute of Technology, Delhi. He is currently the Vice Dean of Executive Education and the Joseph J. Aresty Professor of Marketing at the Wharton School of the University of Pennsylvania. Professor Raju chaired Wharton's Marketing Department for six years and currently coordinates Wharton's relationship with the Indian School of Business. Prior to joining Wharton, he taught at the Anderson School at UCLA. He was the Marketing Editor of Management Science and is also the past President for INFORMS College on Marketing.